Radiation in Japan’s Food Supply: Dangerous or Benign? The Japanese government reported on Sunday that it had halted some food shipments to prevent tainted samples of milk and spinach from reaching consumers. Iodine 131 was found in milk samples in Kawamata, a town in Fukushima prefecture, where the reactor sits, at levels five times the limit set by law. 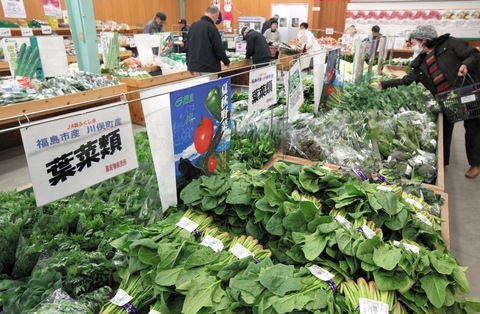 In the neighboring prefecture of Ibaraki, radioactive iodine was detected in spinach. Lower levels of radioactive materials were also found in leeks, chrysanthemum greens, spinach and rapeseed, a source of vegetable oil, in the Tochigi and Gunma prefectures. The radioactive material is a byproduct of the nuclear fission that occurred in the crippled reactors. We live in a radioactive world. Trace amounts of natural radiation are always present in our food, water and soil. So how concerned should we be about the radiation in the milk and spinach samples found in Japan? Fred Mettler, a University of New Mexico radiologist, agreed, calling the levels “minimal” and “negligible,” in terms of health effects for the population. But changing winds could blow more radioactive particles onto shore, increasing the severity of the situation, Brenner said. Now, winds are carrying much of the material into the ocean. And there’s always the danger that more radioactive material will start spewing from the reactors. A 2006 National Academies report called “Health Risks from Exposure to Low Levels of Ionizing Radiation,” defined ionizing radiation as “radiation which has sufficient energy to displace electrons from molecules. Free electrons in turn, can damage human cells,” it reads. Officials are closely watching levels of iodine 131, a known carcinogen. When consumed through food, the effects of radioactive iodine concentrates in one organ, the thyroid. Particles of iodine 131 have enough energy to break apart molecules, and these particles can attack and destroy cells in the thyroid, Makhijani said. Enough cell death leads to a damaged organ. Damage to the DNA has also been linked to cancer and birth defects. Radiation is ubiquitous in the earth’s soil, plants, air, and building materials and present in all of the food that we eat. Rocks are radioactive. Granite is slightly radioactive. Even we are radioactive. The human body contains trace amounts of potassium 40, constantly decaying. Carbon 14 and potassium 40 enters the atmosphere from cosmic rays, charged subatomic particles from space. Small amounts of uranium come from the core of the earth. That uranium decays, producing other radioactive byproducts. 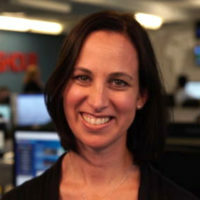 The health risks of these low levels of radiation is controversial, Brenner said, because it’s difficult to distinguish cancers caused by radiation exposure from other cancers. Levels are so low that they’re hard to tease out from other exposures, such as cigarette smoke, air particulates and unknowingly contaminated food.